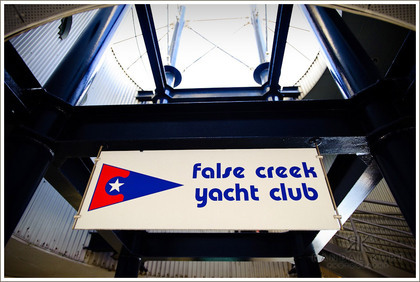 False Creek Yacht Club (FCYC) is a private club and marina located in False Creek, just minutes from the heart of downtown Vancouver. 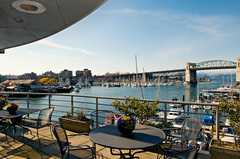 Our magnificent view embraces Granville Island, False Creek and English Bay. 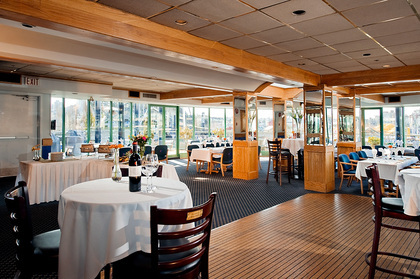 Our venue is like no other! Its location, privacy and charm is unsurpassed. 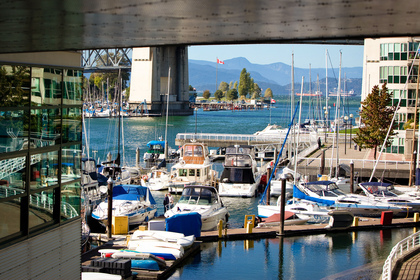 We are privileged to offer the convenience and ease of a Downtown Vancouver venue that subsequently entices guests to "escape" to an exclusive waterfront community. 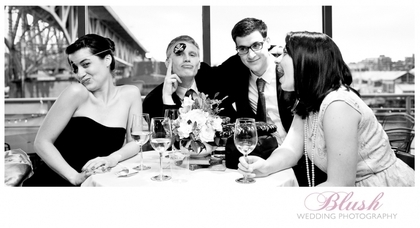 Picture this: Your photographs will be stunning with the beautiful waters of False Creek as a backdrop. 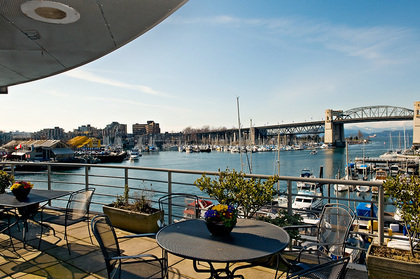 We are surrounded by marinas and boars, endless skies and city scape all-around. Granville Island, across the way, is bustling with activity by day and is always lit up cheerfully at night. A local park is nearby for "green" photos and out facility is located on Vancouver's famous seawall. We just can't say enough about the great food and neither could our guests! 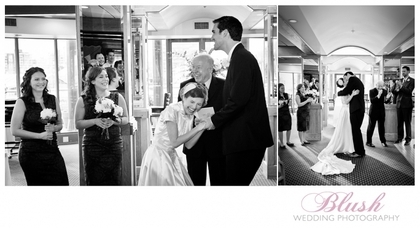 The venue was a perfect compliment to our ceremony aboard Vancouver Yacht Charters. 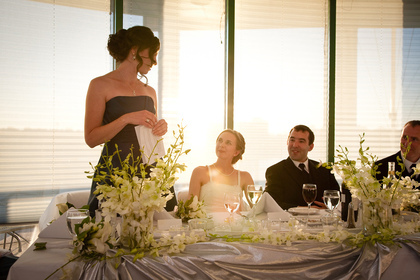 Immediately following the ceremony our guests could walk up to FCYC and continue taking in Vancouver's great views of Granville Island and Burrard Street bridge with a fabulous sunset off in the distance. The view from their big windows was decoration enough. We chose a westcoast dinner buffet that was cooked to perfection: not a single dish was dry or looking wilted and everything was still steaming when we sat down to eat. 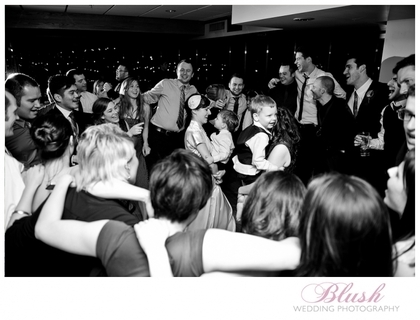 When we had been planning the type of wedding we wanted, we had decided that we wanted the atmosphere of a fun house-party where everyone could relax, mingle, and chat. FCYC was the perfect venue for this. We definitely achieved our goal as many of our guests commented that it was just like a going to a fun summer bbq.